No move is a wrong move, all moves are new, created by you and your creativity. Born out of a desire to intigrate the beauty of silks/fabric and pole, this unique creation allows a perfect collaboration of both. Elevate your pole fitness to the next level. 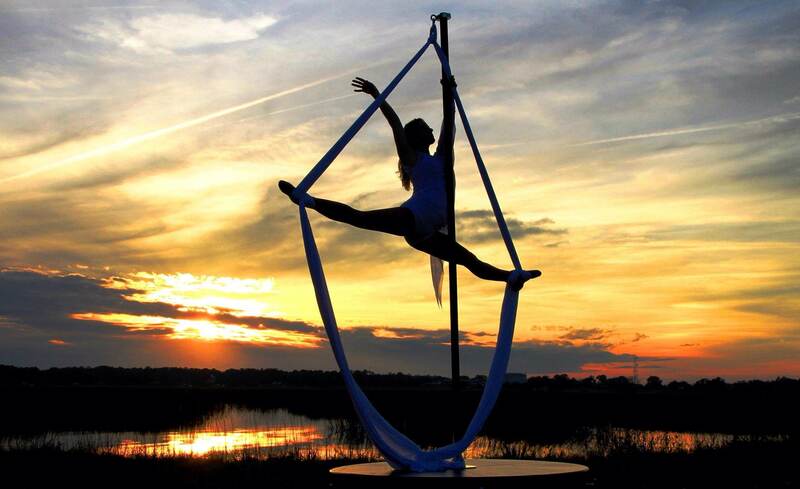 Polesilks are fully tested and insured for YOUR safety. Our silks are specially manufactured, tested and come with a 3yr/300 working hour guarantee* Made in England. Our specially manufactured Silks are avaliable in Black or Pink and in 6mtr(to fit 10ft ceilings) or 8mtr (to fit 13ft ceilings). Polesilks offers studio discounts for purchasing 3 or more Polesilks who become Polesilks affiliates email us HERE for more information.